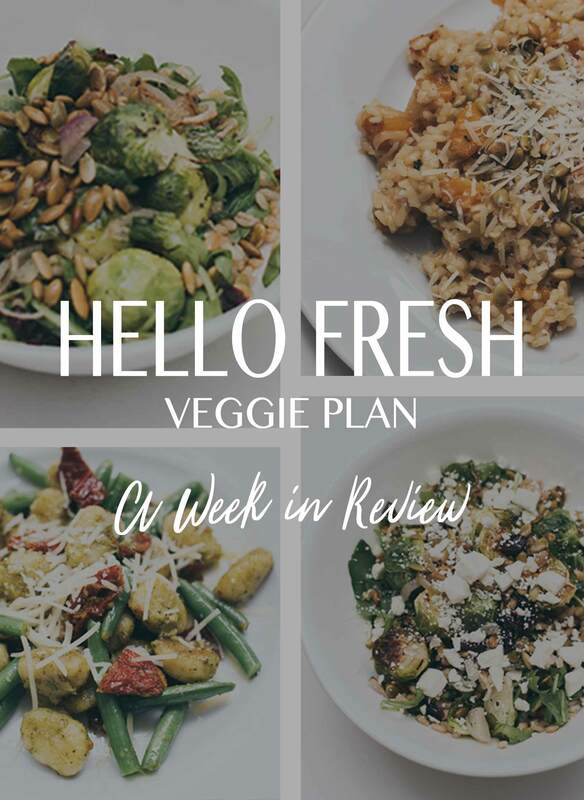 Of course, back when we first signed up for HelloFresh, there was no debate – we started off with the Classic Plan (aka ‘omnivore’ Plan) and stuck with it for several months (you can check out my reviews and meals here). But somehow, perhaps out of boredom, or because of some strange alignment of the stars, we decided to try out the Veggie Plan for a week. One thing to note is that some of the Veggie recipes include milk and egg-based products, so they’re not all vegan. Though some are very easy to make vegan simply by removing 1-2 ingredients like cheese toppings (I’ve included examples in my meal reviews below). What we liked: This made for one huge bowl of healthy grains and veggies that completely filled us up in the end (I could barely finish mine!). What we didn’t like: This definitely wasn’t the tastiest dish out of the four. With the arugula, brussels sprouts, and barley being at the center, it had a whole lot of earthy-ness to it. The added honey, cranberries, and feta wasn’t quite enough to balance it out for those who prefer sweeter salads. *Can be made vegan by leaving out the feta cheese. What we liked: All the various textures – from the creamy, chewy rice and soft butternut squash, to the crunchy pepitas topping. What we didn’t like: It could have used a little something extra in the spice department. *Can be made vegan by leaving out the parmesan cheese. What we liked: This was by far the easiest and quickest dish to put together – it took almost no time to make since we had the gnocchi, green beans, and mushrooms all cooking at once (instead of following the directions and streamlining pan and pot usage – it means more clean-up afterwards, but hey, we were hungry!). I also loved the idea of tossing in veggies and mushrooms (I typically eat my gnocchi plain with a salad on the side, so I’m happy to have picked up some tips for next time!). Overall, I really enjoyed trying out HelloFresh‘s veggie option for a good part of the week. The meals were all surprisingly tasty, filled us up (with the occasional leftovers too), and were much quicker and easier to make than most of the ‘omnivore‘ meal options (I’m still such a noob when it comes to cooking steaks and pork!). I also feel like the choice of grains, extra veggies, and addition of nuts put them on the healthier side of the HelloFresh meal spectrum. Have you tried HelloFresh or another food delivery service? What did you think of the meals?